I wrote a tool that sniffs changes to macOS defaults as they change and autogenerates the defaults incantation to set those preferences. I have a post in the wings about this. For that to be useful, though, I need to establish a bit more groundwork about defaults. In particular, the various locations where the backing plist files can exist. Most are intuitive, but many are not. Here’s a rundown of places where defaults plist files can exist if they’re not in ~/Library/Preferences or /Library/Preferences. If it isn’t clear where a preference is being recorded, try one of these locations. In some cases, a single setting in a user interface may actually manifest across multiple plist files. 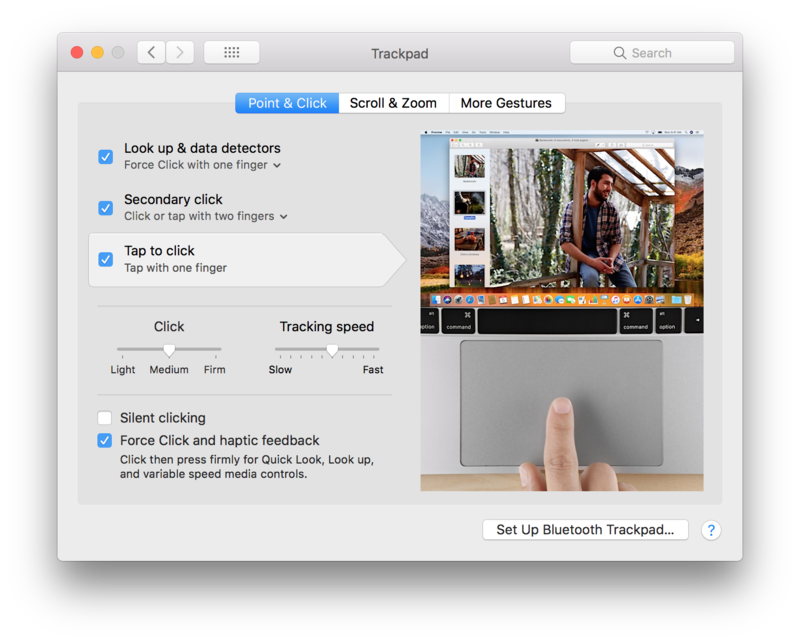 An example of this is the Trackpad preference pane. On a MacBook, settings in all three of these domains are required to configure tap-to-click. Apps that are containerized (such as any app from the Mac App Store) can only write files inside their own containers. App containers are located in ~/Library/Containers. For example, TextEdit.app’s container is /Library/Containers/com.apple.TextEdit, and it’s preferences are written in Data/Library/Preferences/com.apple.TextEdit.plist inside that directory. This can get confusing; in some cases a previous, non-containerized version of the app may have written its preferences to ~/Library/Preferences. So there may be a plist file there that is no longer in use. So that’s a summary of preference locations on the filesystem that may be less than obvious. In the next post, I’ll describe a tool that will work out for you what the defaults incantation is to configure a specific setting. For that tool, you’ll need the foundation established in this and the previous defaults posts.